I love everything about fall -- football, fairs, leaves and crisp temperatures. I eagerly wait each year for its arrival. 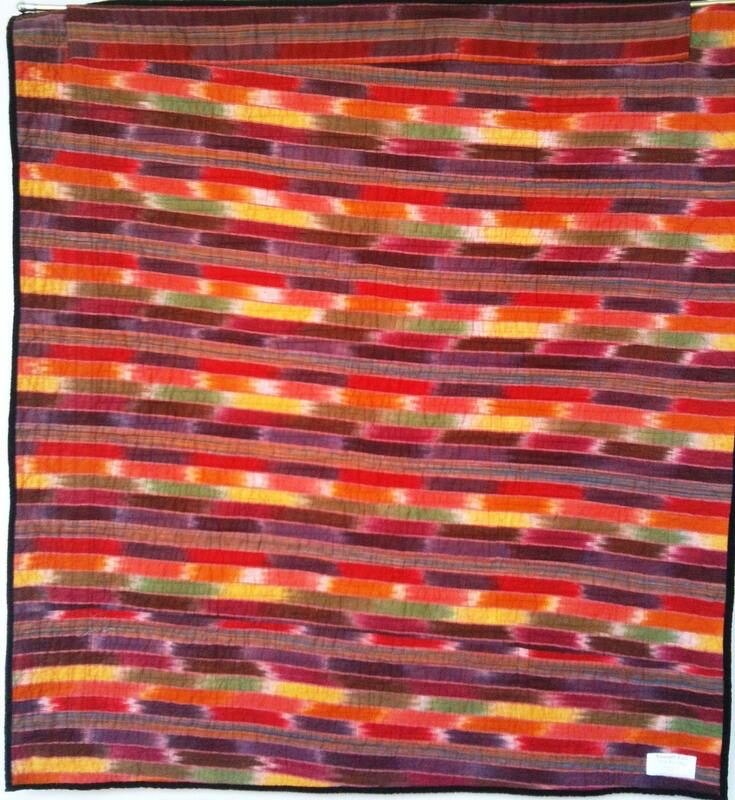 "Almost Fall" is an art quilt that measures 48 x 51 inches. I was attracted to the sunny yellow colors mixed with the deeper browns and rust colors of fall. 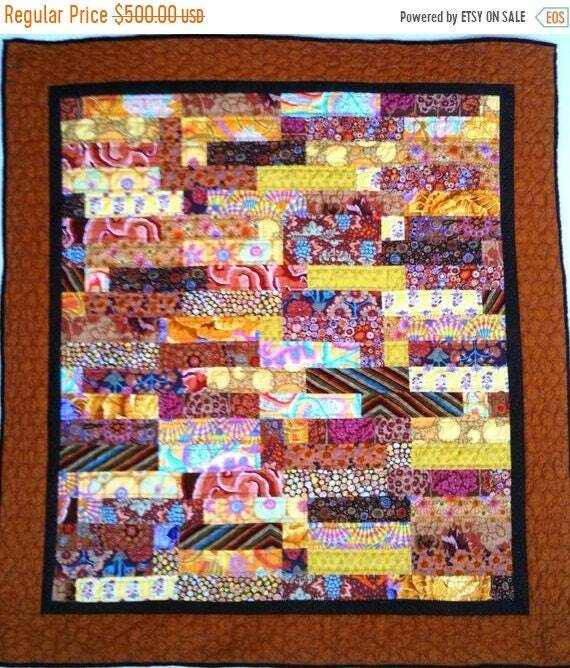 I started this quilt in the summer and decided to hand quilt it while I waited for fall. When the quilt was finished, I knew it would be fall. 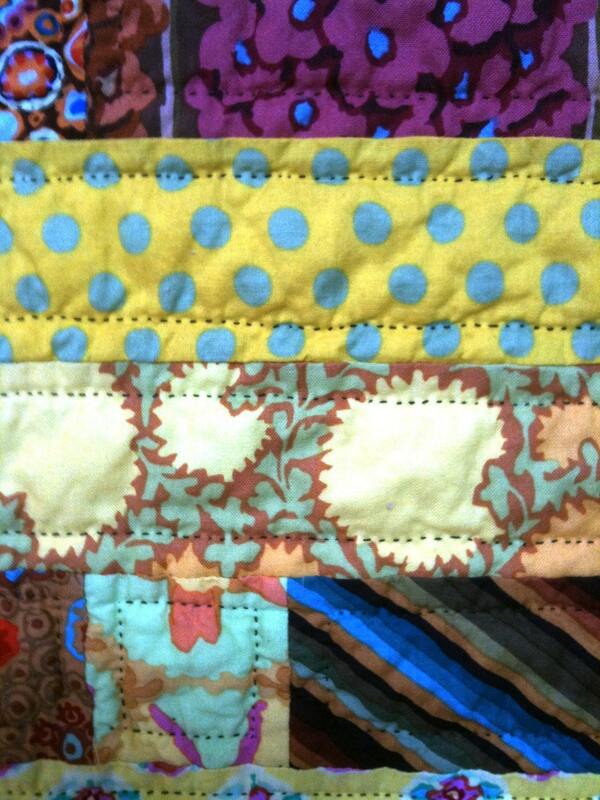 There is a hanging sleeve on the back of the quilt for easy display. A label on the back documents the quilt. 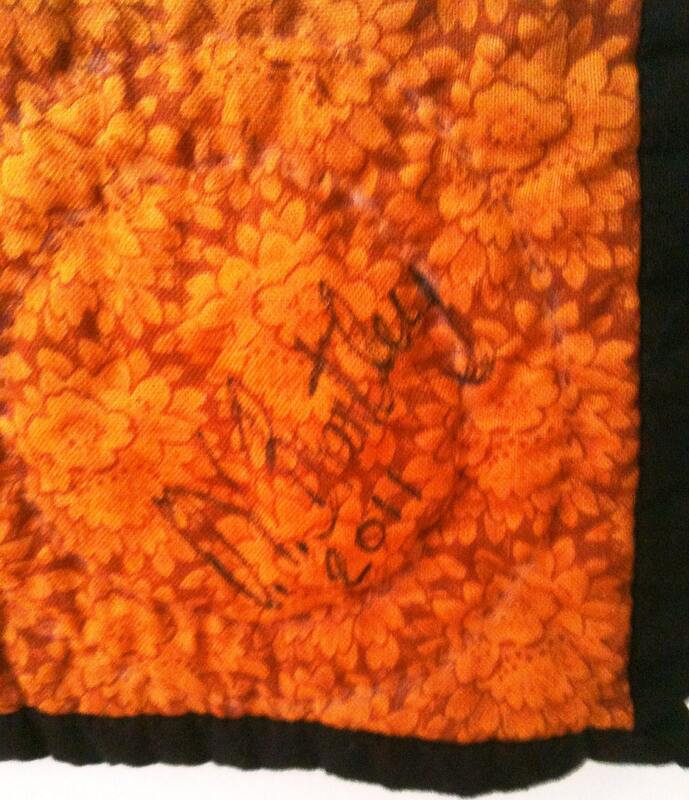 I signed it on the front because it is one of a kind. It has been washed to give it a soft feel and a heirloom look. 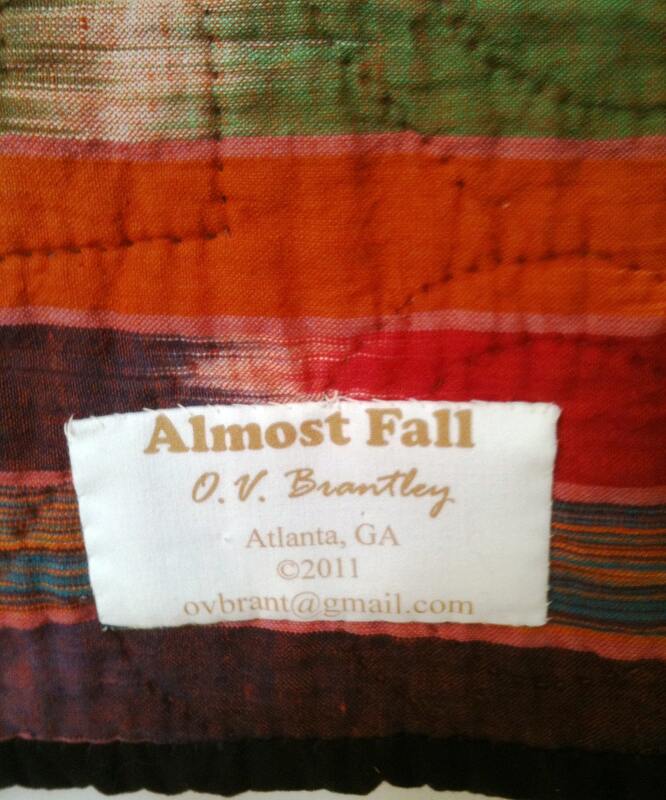 I hope you will love "Almost Fall" as much as I do.